It’s amazing how a single missed SMS message How to View and Send SMS Text Messages on Your Computer How to View and Send SMS Text Messages on Your Computer Want to view and send text messages with your computer? These apps and services let you access SMS without your Android or iPhone. Read More can cause so much damage, isn’t it? Not in an extreme life-or-death sense, but definitely in a mess-up-your-relationship sense. For example, you need to send out an important message but it’s too early or too late in the day, so you tell yourself you’ll do it later — and forget. Or you’re busy at work but need to remind your partner of something later in the day, only to have it slip your mind. 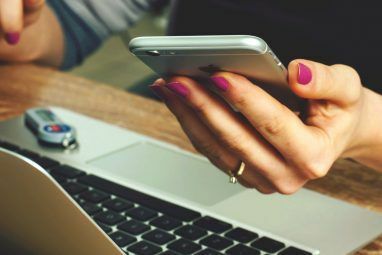 Maybe you want to send a reminder text to your friend about your dinner meetup tonight 5 Helpful Apps for When You Can’t Decide Where to Eat 5 Helpful Apps for When You Can’t Decide Where to Eat Can't decide where to eat? Then you need at least one of these apps. Read More one hour beforehand. Or maybe you want to automatically send out birthday and anniversary texts to avoid any potential “Did you forget?” drama. 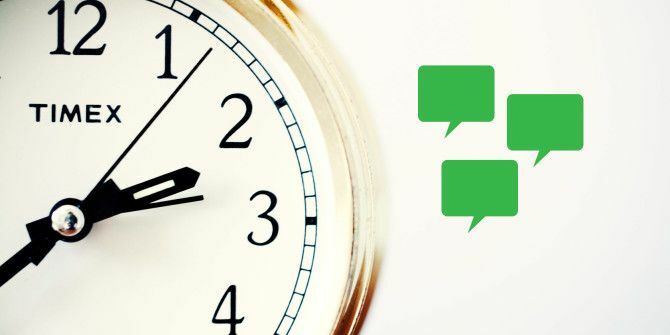 We’re all busy and we all forget, but thanks to a few free apps you can mitigate these issues simply by scheduling your messages ahead of time. Use these alongside your favorite SMS text messaging apps Text Better With These Alternative SMS Apps for Android Text Better With These Alternative SMS Apps for Android Don't like your default SMS app? Try a new one! Read More . Do It Later is the best modern SMS scheduler app currently available. Better ones were available in the past, but they were either discontinued (disappeared from the Play Store),haven’t been updated in ages (and may prove incompatible with the latest version of Android), or simply look ugly and outdated now. The first thing that sticks out about Do It Later is the clean interface. Not only does it adhere to good Android design, but the yellow-white-teal color scheme is surprisingly inviting and pleasant on the eyes. In short, this app feels good to use. Usage is simple. You designate recipients, type your message, select the date and time, and save. You can also designate a repeat frequency if you want, and you can make sure the app asks before you send in case you want to cancel. And if your phone has dual SIM support, you can pick which one to use. And it does more than just SMS. In the settings, you can log into five different platforms — Gmail, Yahoo, Hotmail, Facebook, and Twitter — and use Do It Later to schedule updates and messages on your feed. 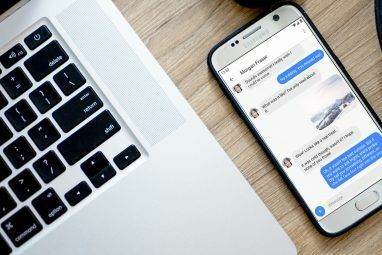 Alpha Messaging brands itself as a “smart personal SMS assistant”, which means that it can automatically send out SMS messages at a future date and time, but it can also automatically respond to incoming calls and SMS messages with canned responses. Scheduled SMS messages are called Events, and each Event can be either date-based (one-time) or day-based (weekly). For day-based Events, you can select multiple days of the week, but each day will use the same time. For canned responses, you’ll need to enable Quite Mode (a likely mispelling of Quiet Mode). You can create multiple Responses, and each one gets a title and a message. While Quite Mode is on, you just have to designate one of your Responses as “active”, and it’ll auto-send to anyone who calls or messages you. Very straightforward, though perhaps a bit basic. It does exactly what it claims to do and nothing more. Schedule SMS is an app just like the two mentioned above, and honestly there isn’t anything unique that differentiates it except one feature: the ability to speak your scheduled message and have it transcribed by Google’s speech-to-text. Is this a valuable enough feature to prefer this app over the others? Maybe! It really depends on how you intend to use it, and how much you prefer speech-to-text. The app also has message templates that you can copy for special occasions (e.g. birthdays). The interface is clean and nice, so no complaints there. The only notable downside that I’ve found to using Schedule SMS is that you can only pick a date and a time — there is no repeat support, which is perfectly fine if you’re never going to need it. Note that this app has interstitial ads that pop up when you’re using the app itself, such as when creating a new scheduled SMS. All of the apps in this post are fast and lightweight, but SMS Planning might just be the fastest and lightest of them all — because it’s so darn simple. Nothing is wasted on unnecessary frills and tacked-on features. It schedules and that’s it. One nice feature is that it tracks all sent messages, so you can always go back and see whether something sent, when it sent, to whom, etc. One minor downside is that the repeat support is a bit barebones. You can repeat in intervals of: every 5/15/30 minutes, every hour, every day, every week, every month, or every year. The ability to enter a custom number of minutes/days/weeks/months would be much better, and being able to select multiple days in a week would be great too. Note that SMS Planning uses your phone’s default SIM setting, so if your phone has dual SIM support and you want to use the other SIM, you’ll have to change the default SIM setting in Android itself. The app also has banner ads at the bottom, in case that bothers you. Why Do You Schedule Messages? Using one of these apps can be a great way to save a lot of time and energy 9 Lesser-Known Android Apps That Will Change Your Life 9 Lesser-Known Android Apps That Will Change Your Life We promise at least some of these apps will be new to you, and they'll all be extremely useful. Try them out for yourself. 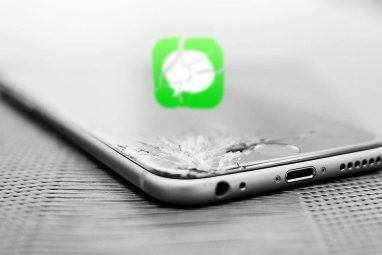 Read More if you often find yourself concerned that you’ll forget to send an important message. You won’t have to worry about timing them anymore — just set ’em and forget ’em. Plus, they’re free. What’s there to lose? You might as well give them a try and see how you like them. In the worst case scenario, you can just uninstall and never look back How to Uninstall Unwanted Apps on Android How to Uninstall Unwanted Apps on Android Want to remove Android apps that won't uninstall normally? Here are the options to uninstall apps for rooted and non-rooted devices. Read More . Do you use an SMS scheduler app? Are there any good ones that we missed? Please suggest them to us! Otherwise, let us know why you need an SMS scheduler in the first place. What kinds of messages are you scheduling? I like to use these to send my partner good morning texts for when he wakes up, as he's a soldier and currently off in a different time zone. He gets them while I'm asleep, and I don't have to worry about forgetting to send them! It's great! I have been using Chomp SMS as my default app for a long time. It includes a message to be written, then scheduled to send whenever you'd like-time, date, repeating, and more options beyond my needs. It's my favorite texting app so far, tho I'm open to trying out newer gen messaging apps. On my Galaxy you don't have to download any app to schedule a message. You just go to messages, add the recipients, type in your text, hit " more " up in the corner, hit " schedule a message ", put in the time you want to send it, click " done ", hit " send " on the tsxt, and Viola- your message is on its way. (Later of course ?). Just wondering, what if the phone's date is somehow reset, will it send the scheduled sms/text, especially with repeated time, or if we set an exact date and time, but we go to other timezone, will it send the message exactly to the time we want? or based on the phone's time which -maybe have 2 hours difference because of changing timezone. Calengoo with SMS app, it's not free, but price is ok. You can add a scheduled SMS reminder to am event. Excellent review! And thank you for the giveaway.